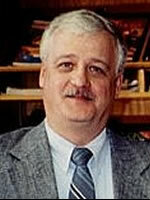 FROM www.nicap.org/bios/randle.htm: Kevin D. Randle has, for more than thirty years, studied the UFO phenomena in all its various incarnations. Training by the Army as a helicopter pilot, intelligence officer and military policeman, and by the Air Force as both an intelligence officer and a public affairs officer, provides Randle with a keen insight into the operations and protocols of the military, their investigations into UFOs, and into a phenomenon that has puzzled people for more than a century. Randle's educational background is a diverse as his military experience. As an undergraduate at the University of Iowa, he studied anthropology. Graduate work included journalism, psychology and military science at the University of Iowa, California Coast University and the American Military University. He has both a master and doctoral degree in psychology and a second master degrees in the Art of Military Science. Randle has written extensively on UFOs beginning in 1973 with articles in various national magazines. He had published many books about UFOs starting with The UFO Casebook in 1989 and continuing to Roswell Revisited in 2007. Randle was away from his UFO studies when recalled to active duty with the Army that included a tour in Iraq from 2003 to 2004. He recently retired from the Iowa National Guard as a lieutenant colonel.